Enable children to develop a deeper understanding of fractions. Utilising this concrete resource pupils can visually see 2/8 is the same as 1/4, and then added together they make 1/2. 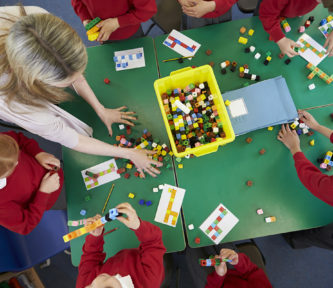 Children can manipulate the resource to develop their knowledge of equivalent fractions, improper and mixed fractions. Handy sized pieces with a magnetic back. All contained in a nice storage box.